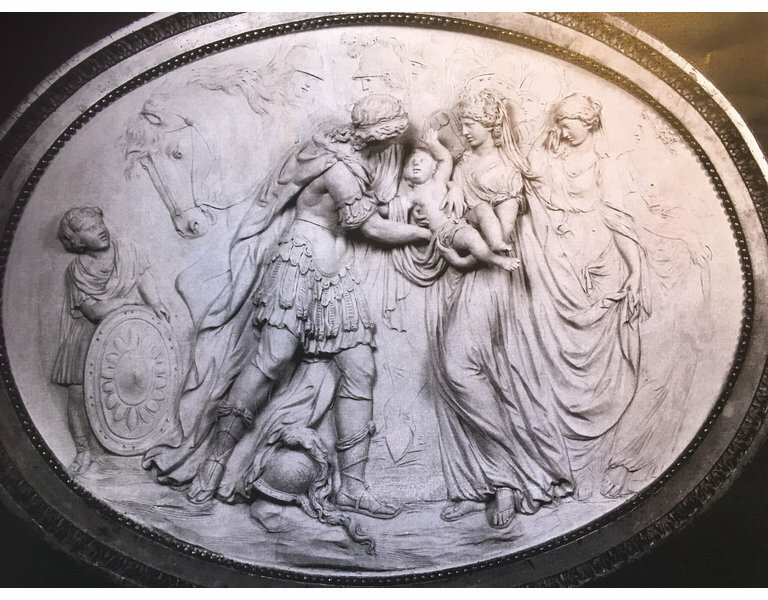 This relief representing the legend of Hector bidding farewell to Andromache, is made by Valentin Sonnenschein (1749-1828), in Switzerland in ca. 1800. 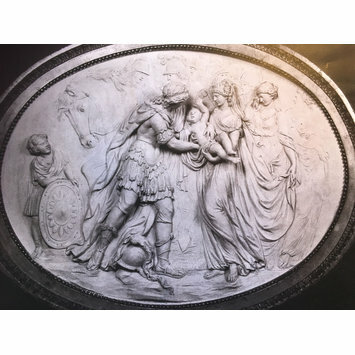 The Trojan hero Hector is here seen taking leave of his wife and young son on the eve of battle in which he was to be killed by Achilles. Valentin Sonnenschein specialised in terracotta, and is also known to have worked for the Ludwigsburg porcelain factory. 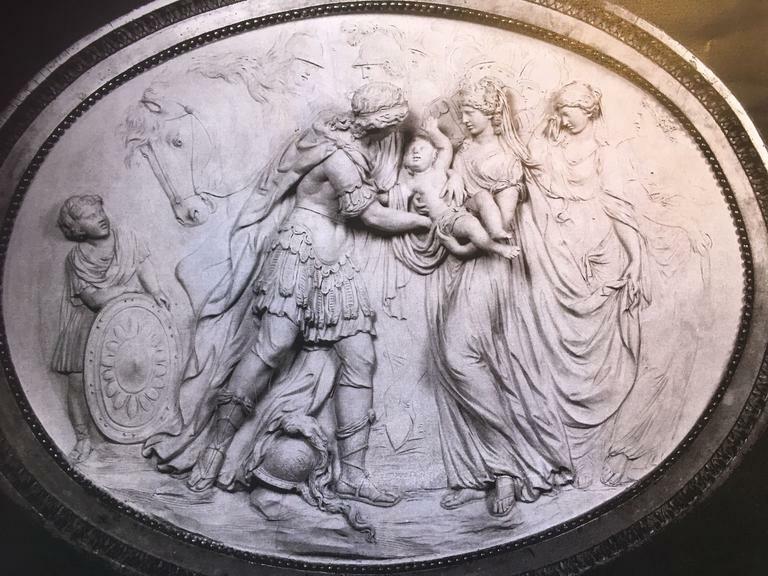 Andromache standing on the right, hands the baby Astyanax to Hector, who is stepping forward to receive him. Hector has placed his helmet on the ground, as described in the Iliad, in order not to frighten the child. A horse and helmeted soldiers are in the background. On the left is a page, holding a shield, and on the right are two female attendants, one of whom appears to be drying tears with her right hand, while holding Andromache's train with her left.